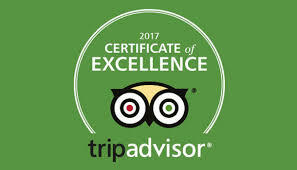 DW Motel Earns 2017 TripAdvisor® CERTIFICATE OF EXCELLENCE ! The achievement celebrates hospitality businesses that have earned great traveler reviews on TripAdvisor® over the past year. Certificate of Excellence recipients include accommodations, eateries and attractions located all over the world that have continually delivered a quality customer experience. The Certificate of Excellence accounts for the quality, quantity and recency of reviews submitted by travelers on TripAdvisor® over a 12-month period. To qualify, a business must maintain an overall TripAdvisor bubble rating of at least four out of five, have a minimum number of reviews and must have been listed on TripAdvisor® for at least 12 months. © 2017 DW Motel. All rights reserved.